This project is start with aim to provide nutritious meal in afternoon to poor children enrolled at primary schools located in slums and residing at labor colonies like Garbage collector, scrap workers etc. Under this project PSF will provide nutritious food to children so that they can grow healthy . A meal will consist of 2 Chapati or rice, Daal and green vegetables. This project has not minimum and maximum limitation because this is the basic need of children. This aim is to focus children of poor community upto age of 10 yrs. 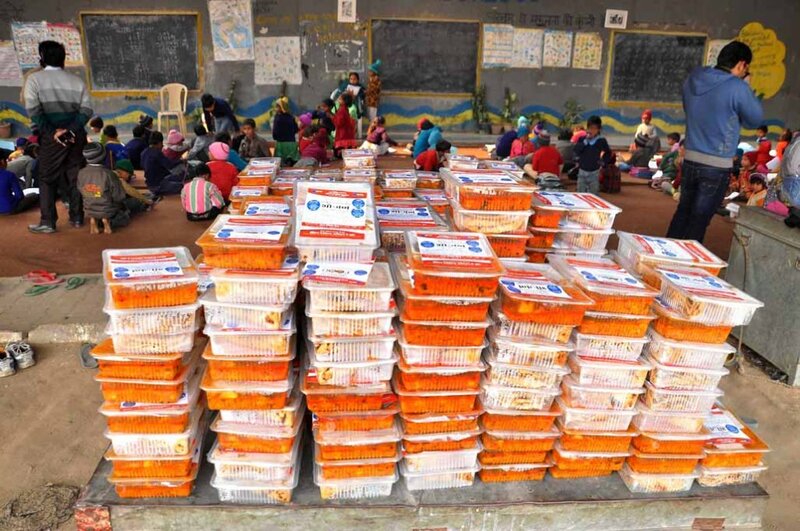 During these year of growth children must take nutritious diet for healthy growth but the segment we are talking about is not financially capable to prepare a complete meal in a single day . Lack of nutritious meal in growth years affects the whole life. This project will provide them chances to focus on education. Children will get less sick if they had nutritious meal, this will help their family to focus on their education.